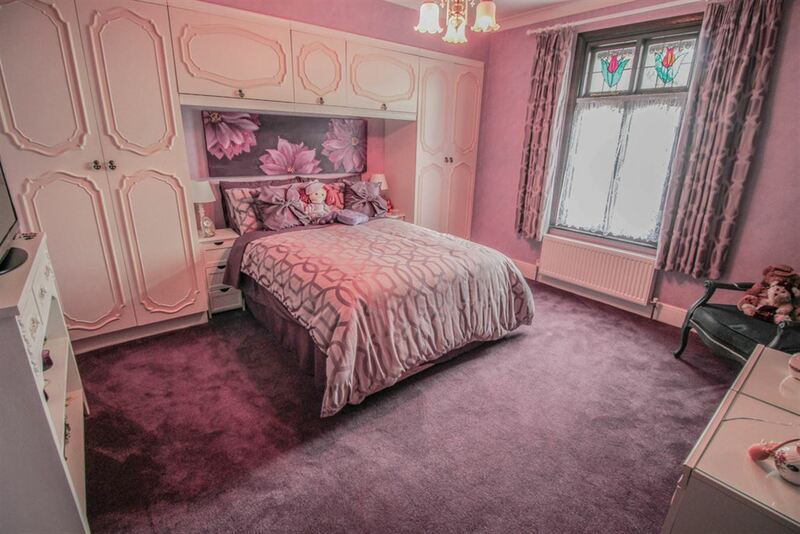 Ideally located in a non-estate position set within walking distance of town centre and mainline station is this superb character residence offering generous family accommodation including 6 bedrooms, feature bathroom and ground floor shower room. 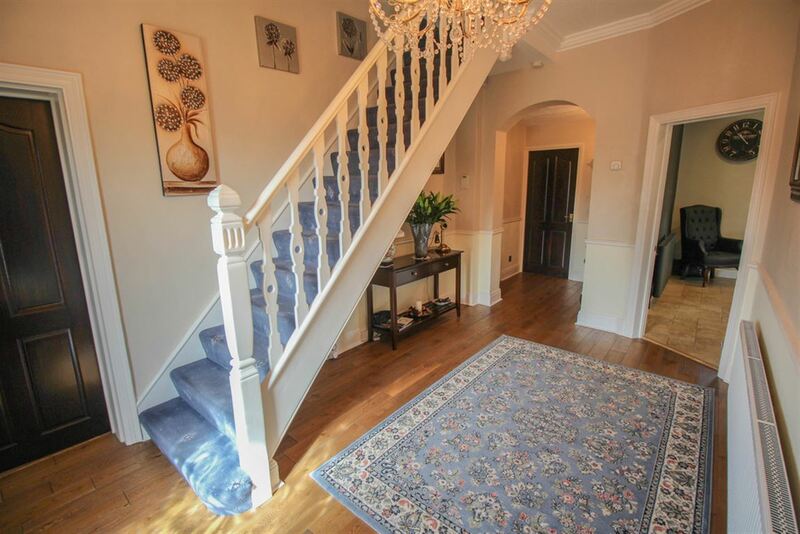 The ground floor includes large reception hall, spacious lounge 26'4 x 12'6, sitting room 16' x 15'2, dining room 18'6 x 12, feature kitchen 18'6 x 12'6 with granite tops, utility room 7'3 x 5'6 and cloakroom. 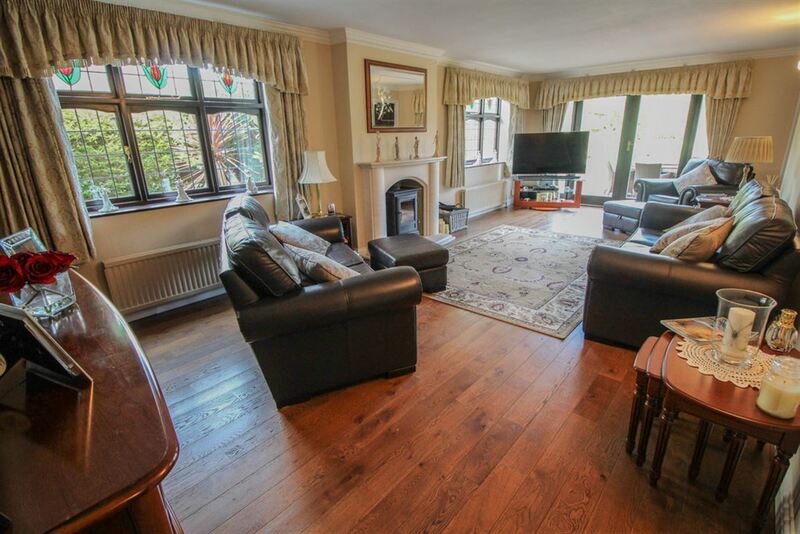 The property has been tastefully improved throughout to a high specification in recent years yet retains much of the original character including high ceilings and feature fireplaces including wood burners. 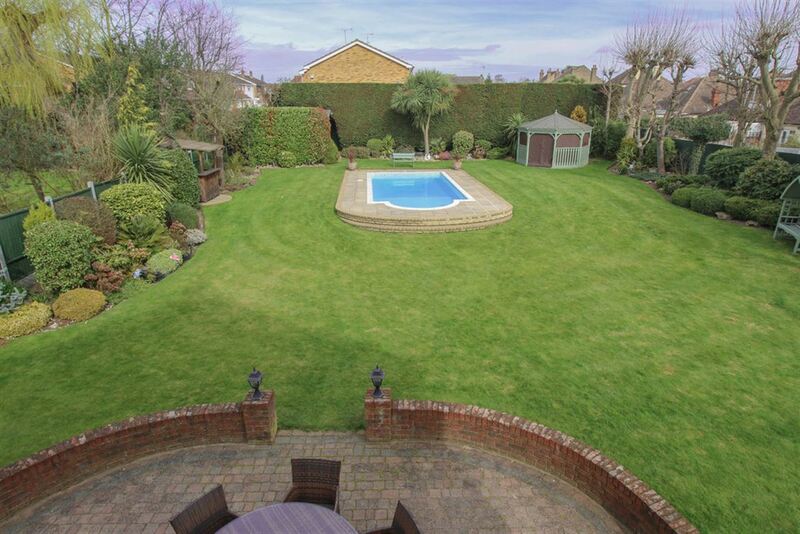 The property benefits from a superb garden measuring approx. 140' x 95' with outdoor heated pool, summerhouse, gazebo and changing room with 2 large attached garages and sweeping in/out driveway to front. SPACIOUS RECEPTION HALL 21' 2 x 9' (6.45m x 2.74m) Coving to high 9'6 ceilings. Solid wood floor. Double storage cupboard. Radiator (untested). 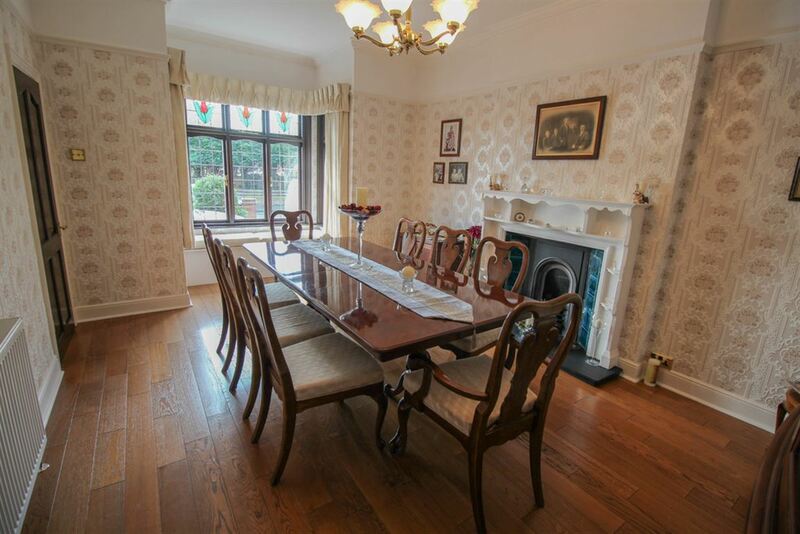 DINING ROOM 18' 6 x 12' (5.64m x 3.66m) Double glazed lead light full bay window to front incorporating window seat. 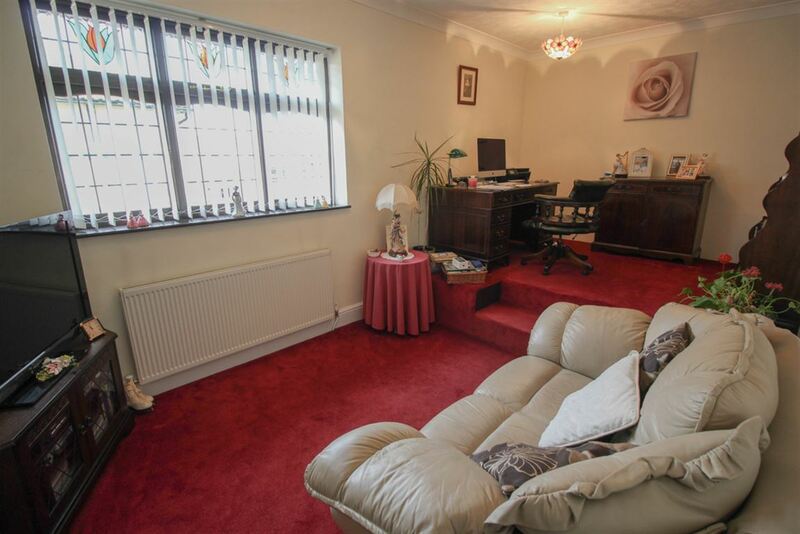 Feature fireplace (currently inoperative). Solid wood flooring. Double radiator (untested). 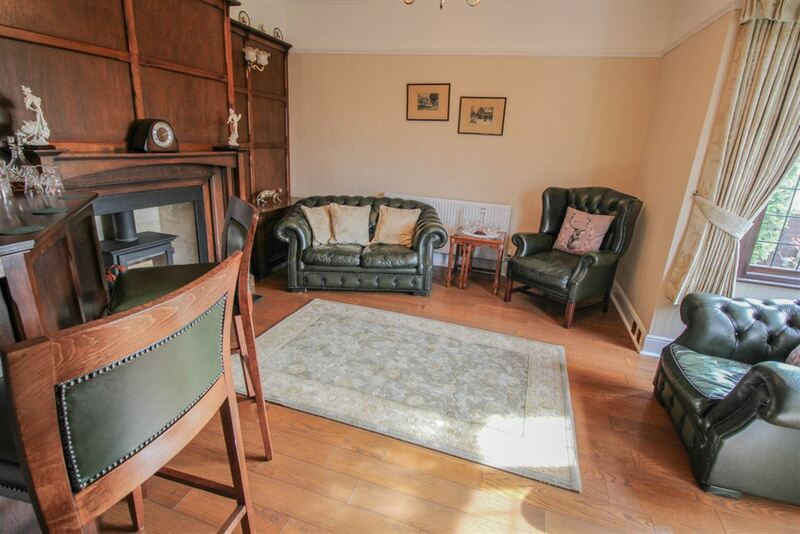 SITTING ROOM 16' 0 x 15' 2 (4.88m x 4.62m) Double glazed lead light full bay window to front. Double radiator (untested). Solid wood flooring. Wood panelling feature wall incorporating inset wood burner (untested). LOUNGE 26' 4 x 12' 6 (8.03m x 3.81m) Two double glazed lead light windows to side. 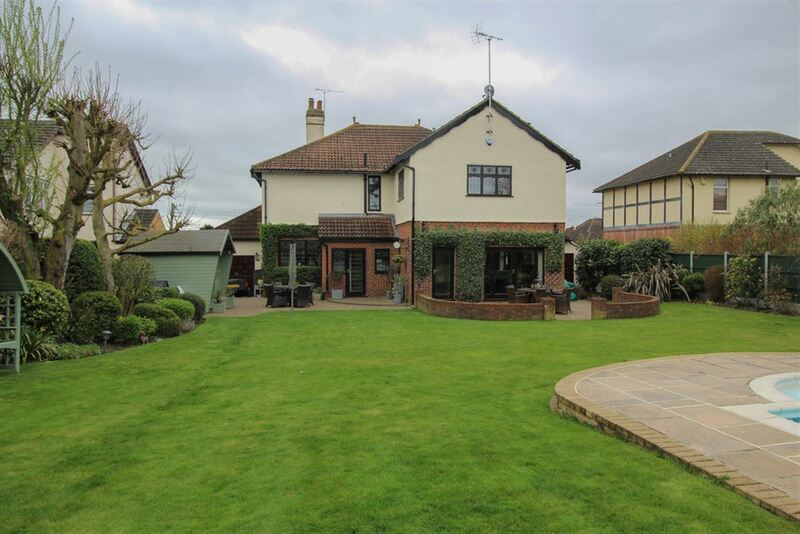 Double glazed French Doors and double glazed panelling overlooking superb rear garden. Two double radiators (untested). Sandstone fire place incorporating inset wood burner (untested). Solid wood finish to floor. UTILITY ROOM 7' 3 x 5' 6 (2.21m x 1.68m) Double glazed opaque door to rear garden. Work surface extending to incorporate recess for washing machine, tumble dryer and freezer. Cupboard housing boiler (untested). Tiling to floor. SHOWER ROOM Double glazed opaque lead light window to side. 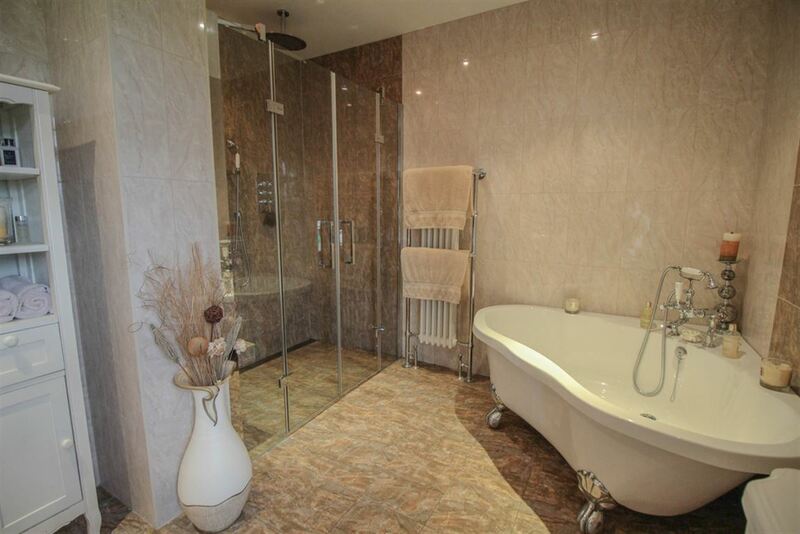 Suite comprising of low level WC, vanity wash hand basin and large shower cubicle. Radiator/rail (untested). 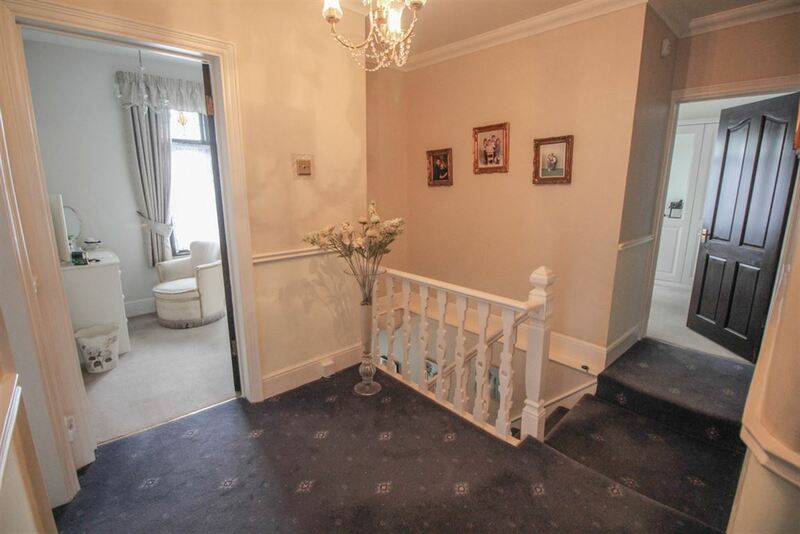 Half panelling to walls. Tiling to floor Coved ceiling. 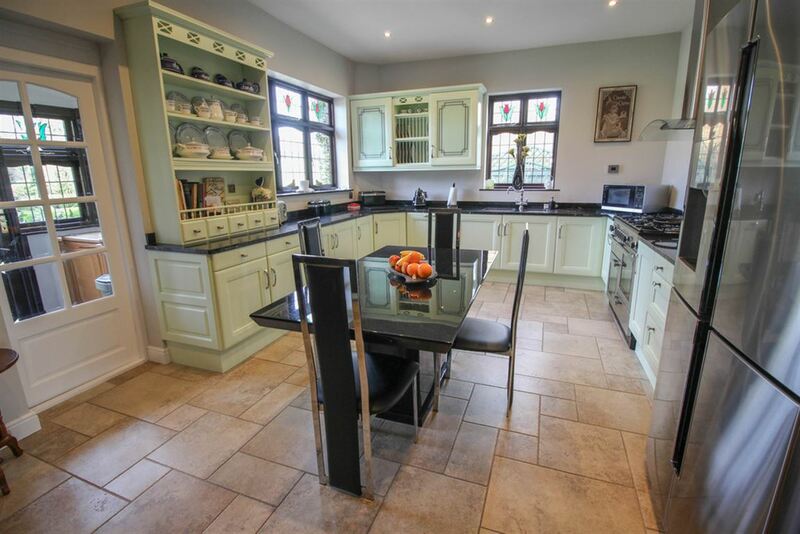 SUPERB KITCHEN/BREAKFAST ROOM 18' 6 x 12' 6 (5.64m x 3.81m) Double glazed lead light windows to rear and side. Range of French Oak base and wall mounted units providing drawer and cupboard space incorporating French Dresser with Granite work tops extending to incorporate sink unit. Down lighters to high ceilings. Integrated dishwasher (untested). Space for fridge freezer and range Master cooker. Stylish Grandi Ovali radiator. Under floor heating (untested). CLOAKROOM Double glazed opaque window to rear. 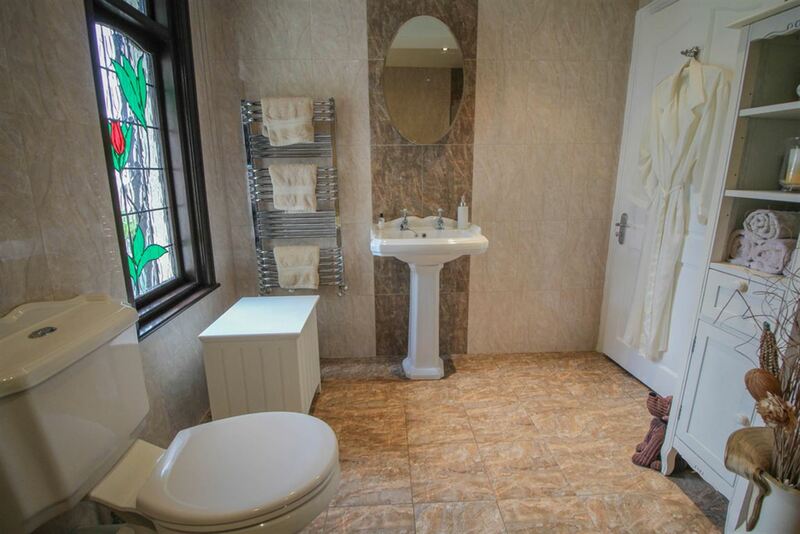 Low level WC and vanity wash hand basin with cupboards beneath. Tiling to floor. FIRST FLOOR LANDING Coved ceiling. Access to loft. BEDROOM ONE 15' 2 x 12' 6 (4.62m x 3.81m) Double glazed lead light window to front. Radiator in casement surround (untested). Fire place. Coved ceiling. Fitted wardrobe cupboards. BEDROOM TWO 15' x 9' 8 (4.57m x 2.95m) Double glazed lead light window to front. Double radiator (untested). Extensive range of fitted bedroom furniture incorporating wardrobes, drawers and cupboard space. BEDROOM THREE 13' x 12' 6 (3.96m x 3.81m) Double glazed lead light window to side. Double radiator (untested). 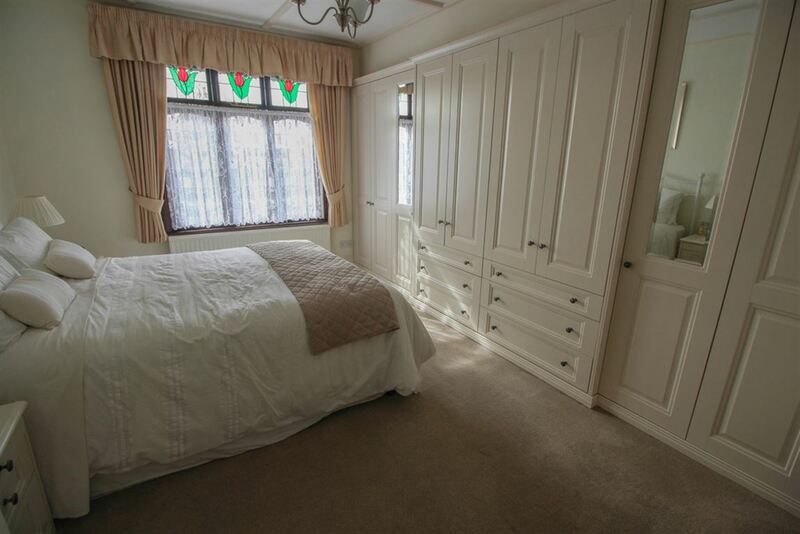 Fitted wardrobes and cupboard. Over bed recess. BEDROOM FOUR 17' 4 x 9' 2 (5.28m x 2.79m) Double glazed lead light window to side. Radiator (untested). Coved ceiling. Split level with raised mezzanine floor. 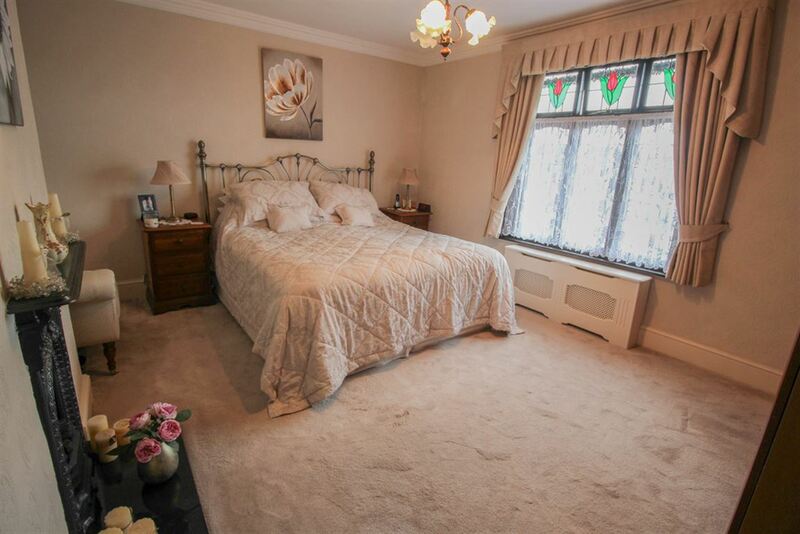 BEDROOM FIVE 18' 4 x 10' 4 (5.59m x 3.15m) Double glazed lead light windows to rear and side. Double radiator (untested). Coved ceiling. Built in walk in wardrobe. DRESSING ROOM/BEDROOM SIX 9' 8 x 7' 6 (2.95m x 2.29m) Double glazed lead light window to front. Radiator (untested). FEATURE BATHROOM Double glazed opaque lead light window to rear. 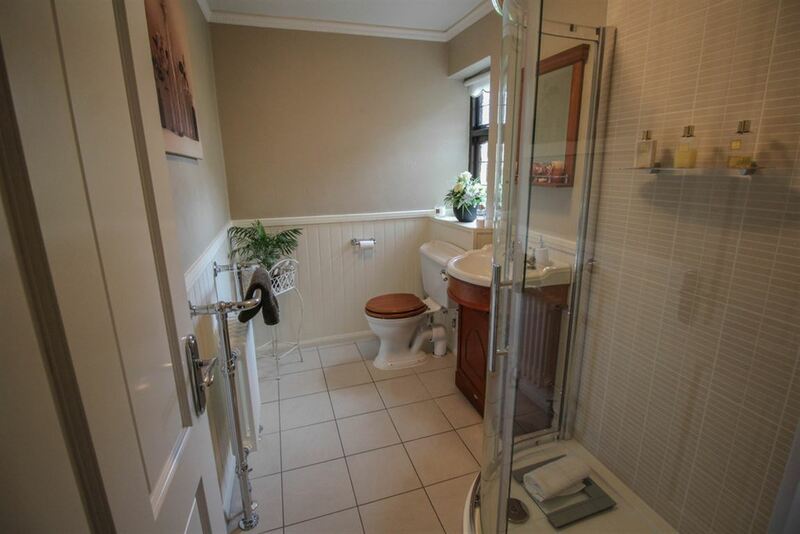 Low level WC, pedestal wash hand basin, corner footed bath unit and large walk in shower cubicle incorporating seat. 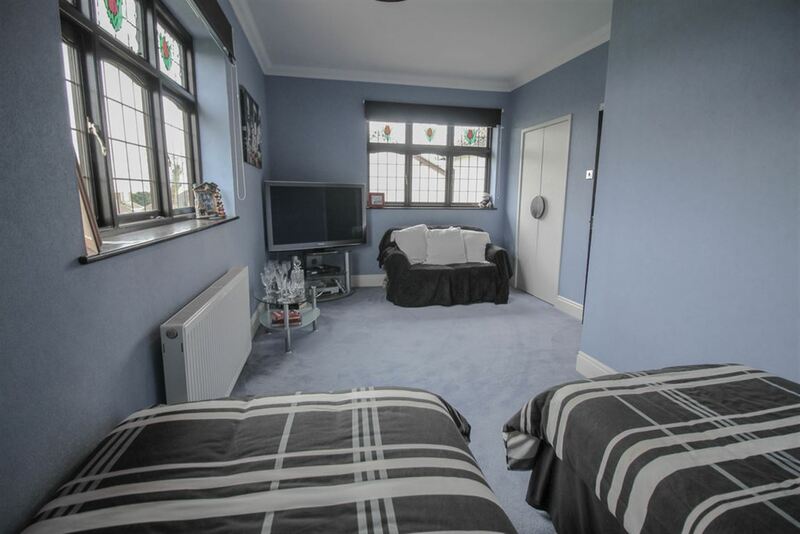 Extensive tiling to floor and walls. Radiator/Rail (untested). Down lighters to ceiling. 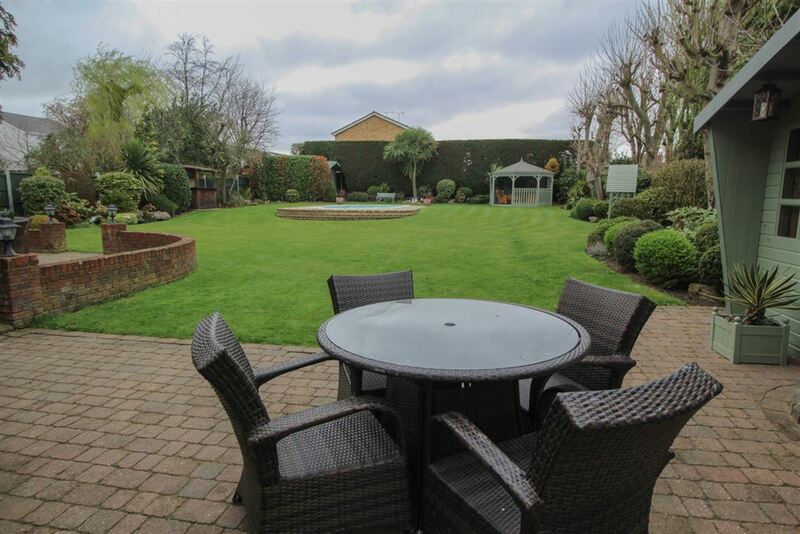 SUPERB REAR GARDEN 140' x 95' (42.67m x 28.96m) The property benefits from a superb garden with patio extending full width to rear with remainder comprising of large lawn area with exceptionally well established flower and shrub borders. Fencing to side and rear boundaries. 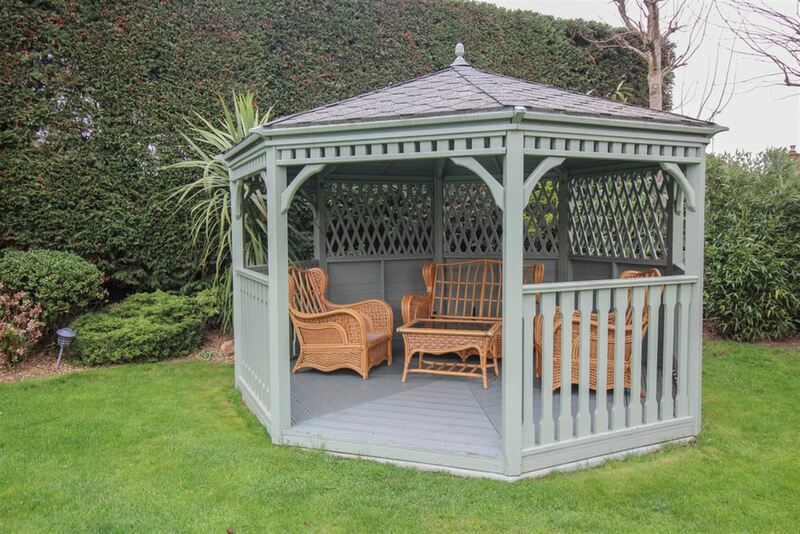 Conifer screen providing seclusion from rear. 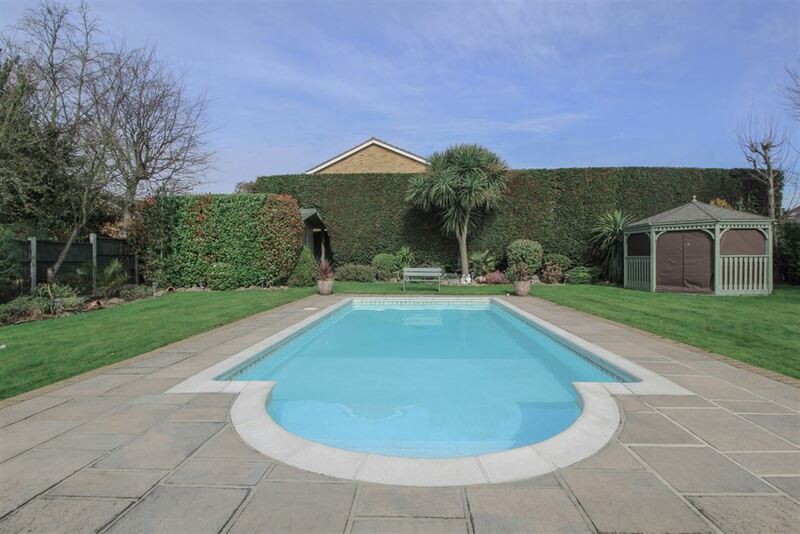 HEATED POOL 24' x 12' (7.32m x 3.66m) Plus 4' x 8' Roman End. External garden lighting (untested). SUMMERHOUSE/GYM Power and light connected (untested). HEXAGONAL GAZEBO Power and light connected (untested). CHANGING ROOMS Housing pool filter and boiler (untested). TWO LARGE ATTACHED GARAGES 18' x 9' Drive through facility. Electric up and over doors to front with double doors to rear. 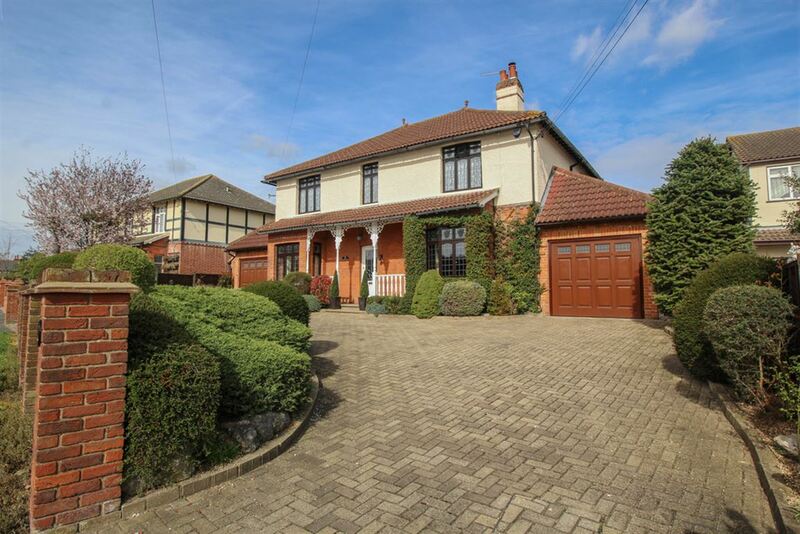 EXTENSIVE SWEEPING BLOCK PAVED DRIVEWAY Retaining brick wall to front boundary. Well stocked flower and shrubs.